This is a very comfortable tool to analyze the important price levels of the market. It calculates the support and resistance levels and automatically saves every important setting for every symbol and period! 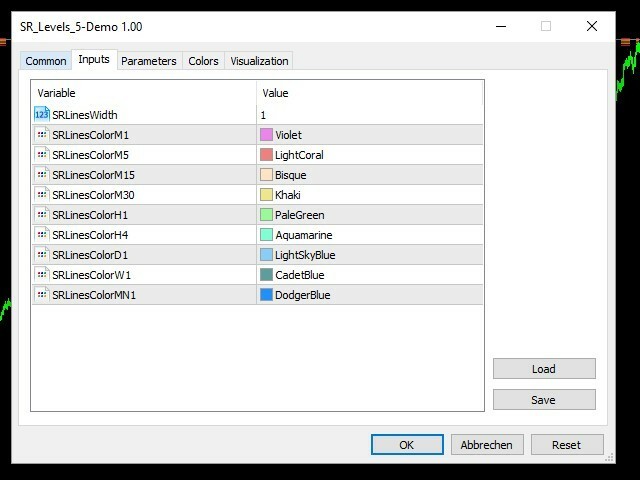 With it's graphical interface, it is very easy to use! This tool does not work in the strategy-tester! I recommend to install my free ST-Toolmanager. This tool automatically displays buttons for all tools of this series, that are currently on your chart. For more details, please see the description of the ST Toolmanager! At mouse cursor: When this feature is activated (button is green), the tool displays the values of the time at which the Mouse cursor is currently located. You are always editing the last selected (turned on) timeframe. 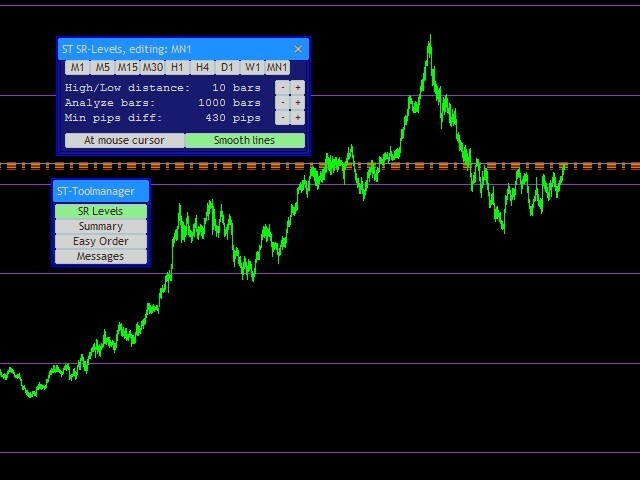 In the header of this tool, you can see the actual selected timeframe for editing.